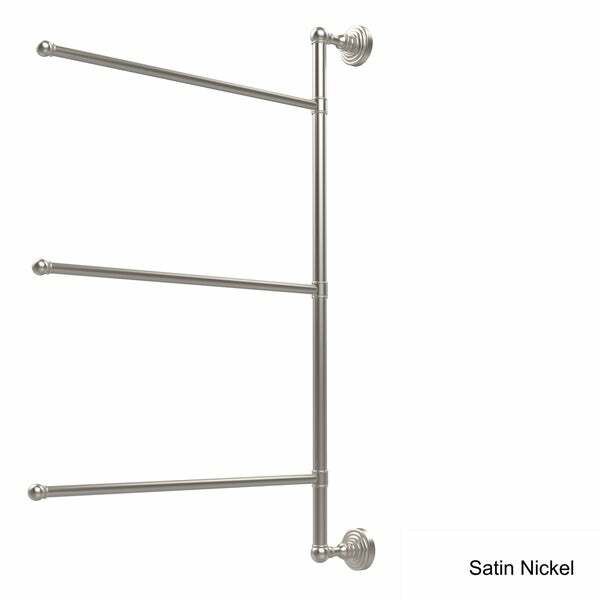 Accented with a modern touch, this space-saving triple arm towel bar holder is the perfect design for any bathroom or kitchen. The 3 swivel arms move independently and remain flush against the wall when not in use. This Waverly Place towel bar is made of the finest solid brass materials and finished with a variety of lifetime designer finishes so you can pick the one that's right for your bathroom. "Can this hold bath towels without bending?" Yes, this towel bar is designed to hold bath towels without bending. "How long are the towel bars?" "How many inches long are the towel bars?" They are 16 inches. I hope it helps. They are 16 inches long.